If the average crime family "godfather" is supposed to inspire respect, Joe Profaci, the longtime boss of the Brooklyn crime family, missed the boat. There probably was not a boss hated by more of his own men than Profaci, precisely because he ran his outfit in the "approved" old Sicilian manner, requiring every member of the family to pay him monthly dues of $25. By contrast, in Buffalo old Stefano Magaddino dispensed family funds every Christmas until he got too penurious to do so in his old age, but Joe Profaci never had suffered any such failing of giving. He simply took and took. Carmine Persico Jr., who later became a successor to the leadership of the family, once complained about Profaci to Joe Valachi: "Even if we go hijack some trucks he taxes us. I paid up to $1,800." In theory, the $25 monthly payments were to establish a slush fund to take care of legal fees, bribes and support payments to a soldier's family if he was imprisoned, but it was a custom long abolished in other crime families. Profaci, although a multimillionaire who lived in a huge mansion on a 328-acre estate on Long Island, which boasted a hunting lodge and its own private airport, just was not going to miss any stray penny. Crime paid for Joe Profaci even if it did not pay as well as it should have for his soldiers. While it was true that all crime family bosses required their men to pay tribute to them in the form of a slice of whatever rackets they ran, it was supposed to be given with "affection" or as a "token of respect." Profaci leaned very hard on his men to get his, and he ruled with an iron hand, ordering the execution of anyone objecting to his methods. For years the streets of Brooklyn were dotted with the corpses of those not following Profaci's rules of the game. The personal life of Profaci presented an entirely different picture of the crime boss. He has often been described as the most devout Catholic of the Mafia leaders, although there were those in the underworld, among them the Gallos and their followers, who said Profaci embraced religion most fervently after he developed cancer. Profaci attended St. Bernadette's Catholic Church in Brooklyn and even had a private altar constructed in his basement so that mass could be celebrated at family gatherings by a priest who was a close friend of the Profacis. In 1949 a group of leading Italian Americans, including some priests, petitioned Pope Pius XII to confer a knighthood on Profaci, a "son of Sicily" who, they said, had become a benefactor to the Italian-American community. Profaci was the leading importer of tomato paste and olive oil in the country, owned more than 20 other businesses and was known as the kindly employer of hundreds of fellow countrymen. These citizens also pointed out that Profaci was a most generous donor to many Catholic charities. Profaci's dream of papal approval was shattered however when the Brooklyn district attorney, Miles McDonald, protested to the Vatican that Profaci was a leading racketeer, extortionist, murderer and Mafia leader. But the rebuff did not dampen Profaci's desire to demonstrate his religious zeal—if in a somewhat murderous fashion. A young independent thief had the effrontery to steal a jeweled crown from St. Bernadette's. Profaci took it as an insult not only to the Lord but also to the godfather himself. He passed the word that the crown was to be returned forthwith or blood would flow. The thief had no choice but to return the crown—no fence would dare handle it without the sure punishment of the mob. It was restored to the church, with a few of the jewels missing, and Profaci still ordered the death sentence. The thief was strangled with a rosary. Whatever Profaci's judgment would be in the hereafter, the incident did much to solidify his exalted position on earth, in the mob world, demonstrating how mighty his wrath could be. Despite Profaci's ironfisted rule, he faced strong opposition within his family. The most determined opposition came from the Gallo brothers, who waged war against Profaci from 1960 until 1962 when Profaci died of cancer. The cause of the Gallo revolt was money—and the lack of it dispensed to their group by Profaci. 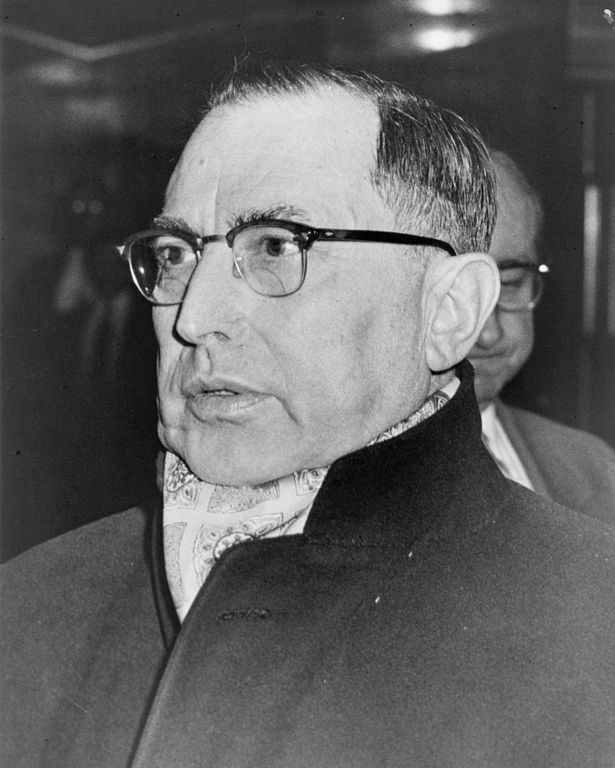 The Gallos were willing and eager to be loyal to Profaci, a matter which they demonstrated when they killed a leading Brooklyn policy banker, Frank "Frankie Shots" Abbatemarco. The Gallos and their top gunner, Joe Kelly, had worked for Frankie Shots for several years, but when Profaci ordered him killed, they eagerly complied. Frankie Shots's offense was to deny Profaci a $50,000 tribute, and the Gallos were promised a good portion of his racket for dispatching him. However, after the rubout, Profaci sort of forgot his promise and divided up the Shots's empire among his family and friends. The Gallos joined forces with other dissidents, including Jiggs Forlano, a high-powered loan shark operator, and Carmine Persico Jr., originally a Gallo trainee. The anti-Profaci forces kidnapped several of the enemy and barely missed snatching Profaci himself, who was tipped off and fled to Florida where he checked into a hospital for safekeeping. The kidnappers figured to hold the Profaci men until the crime boss agreed to deal with them fairly. Profaci secured the release of his men by making such promises and then split the enemy by promises of rewards to Forlano and Persico and some others if they would turn on the Gallos. The result was the bloody "mattress war" between the Profacis and the Gallos. The contest was still unresolved at Profaci's death. If Profaci died hating the Gallos, that was nothing compared to his hatred for two fellow crime family godfathers, Carlo Gambino and Tommy "Three-Finger Brown" Lucchese. They like Profaci were members of the national commission and, noting the troubles in the Profaci family, "suggested" that Profaci "retire." Profaci, not unjustifiably, saw the Gambino-Lucchese ploy as an attempt to take over the Profaci empire and refused. All-out war threatened until the leader of another Brooklyn crime family, Joe Bonanno, threatened to take up arms on Profaci's side if outsiders tried to depose him. Bonanno realized that if Profaci fell, Gambino and Lucchese would next turn on him.